On February 18 and 19 the IGA Team visited the United Downs Deep Geothermal Project in Red Ruth, Cornwall, UK. The UDDG project is led by Geothermal Energy Limited (GEL). The drilling contractor is a venture of Angers and Sohne and Marriot Drilling. 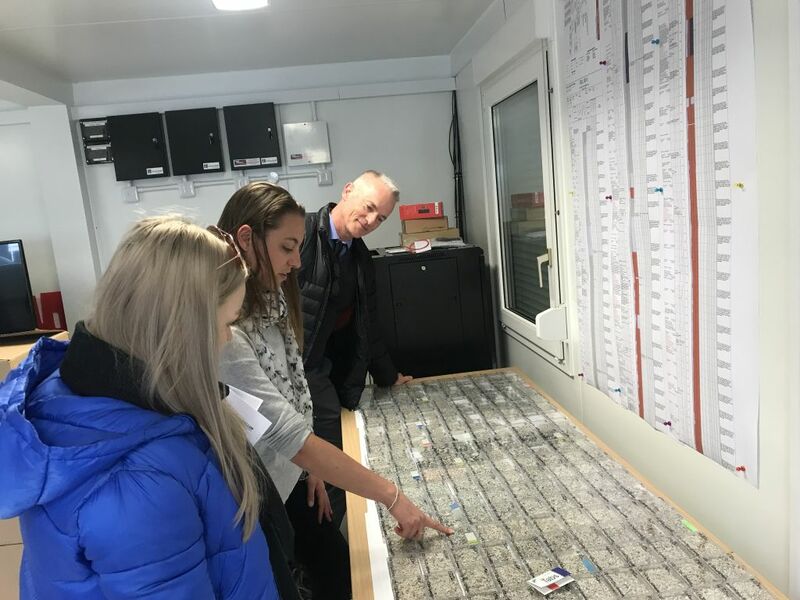 The onsite operation team is led by Peter Ledingham (Managing Director), Lucy Cotton (Chief Geologist), Susy Doe (Communications Officer) and Jon Gutmanis (Operations Geologist). The visit was organised by Prof. Iain Stewart, University of Plymouth, who kindly hosted the IGA Team first in Plymouth and then took us on site on Tuesday Feb 19th. 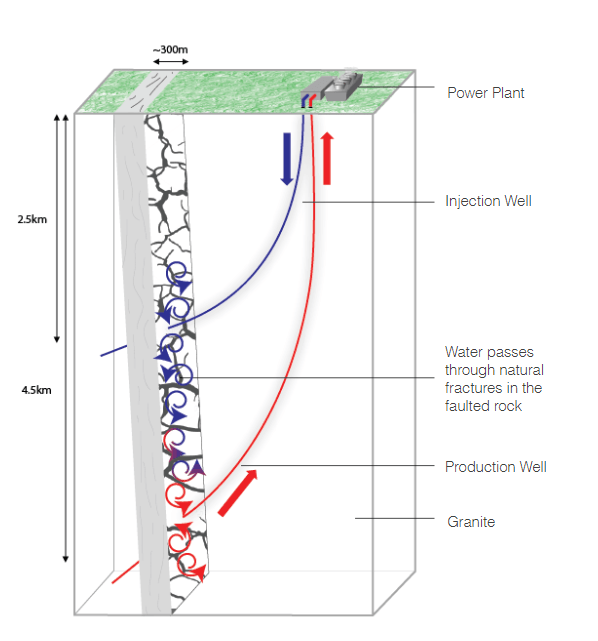 The UDDG project aims to drill two deep wells into the heat-producing granites located at a permeable geological structure called the Porthtowan Fault Zone. One well will be producing the heat, the other well will be reinjecting the cooler water into the ground in order to be reheated. Expected bottom hole temperatures are to 190 oC and the targeted depth is 4,500m. GEL has secured funding of £10.6 million from the European Regional Development Fund to explore the geothermal resources underneath Cornwall. Cornwall Council contributed (£2.4 million) and private investors lend £5 million. The total sum secured the drilling of two deep wells to build a 1-3 MW pilot power plant to demonstrate the technical and commercial viability of supplying both electricity and heat. And then there was Ms Molecule. Ms Molecule – a great invention of the communication team to raise awareness of how the hot water turns to power and is used by communities to power up their homes and mobile phones has been proving worthwhile. School classes, local people, county representatives, they all love Ms Molecule and seem to engage more strongly to the project than ever imagined. It is a team effort to get challenging projects like these going, and it takes strong individuals such as Peter Ledingham and his entire team to continuously strive to make these projects happen on the ground. Granite green energy: we all talk about it, and Cornwall is doing it! Thank you for having us, it was simply fantastic.